The CAC02SSD chemical sprayer features two sprayers and two 75 foot hoses, doubling the already impressive time-saving benefits of using a Cobra Chemical Sprayer! This high-output, low-pressure sprayer reduces over-spray, improves results, and can reduce labor costs by up to 60%. 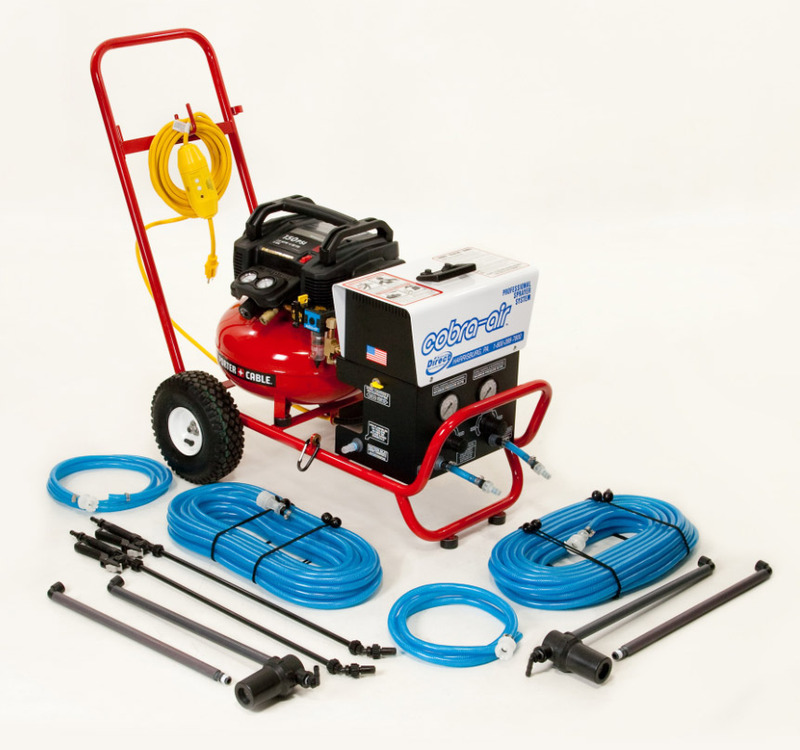 The CAC02SSD Cobra Chemical Sprayer™ is a high-output, low-pressure sprayer for building restoration professionals who knows what their time is worth. This chemical sprayer features two active pumps that allow two people to use the same sprayer simultaneously, doubling your productivity with a single sprayer! Like all of our Cobra Chemical Sprayers™, the CAC02SSD prevents over-spray and allows you to adjust output pressure based on the chemical being sprayed and the substrate it’s being applied to. The CAC02SSD will spray acids, caustics, waterproofing, and more!